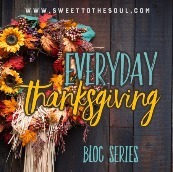 ​There have been times in my life (some recently) when I felt so discouraged that I not only had trouble praying, but merely sitting quietly trying to sense the presence of God came difficult to me. 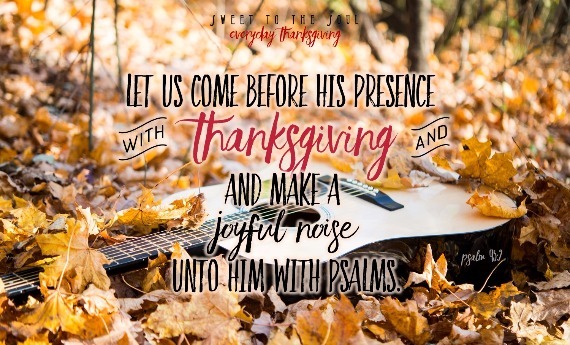 When life is hard, our emotions are raging, and it feels like solutions to our problems are nowhere in sight, the idea of coming before God with thanksgiving, let alone making a joyful noise unto him, can seem like the last thing we want to do. But I am here to tell you - do it anyway and you will find your spirit lifted! When you are staring at the blank pages of your gratitude journal not able to think of a single thing you feel grateful for because your mind is so focused on your troubles, start with the most basic thing you can think of. Thank Him for your heartbeat, your ability to breathe, your eye-sight, your hands – just keep writing until you start feeling yourself drawn into His majesty, His love and the miracles of His creation. Suddenly your problems will seem small compared to His everlasting, ever-present greatness and I guarantee you that you will realize just how much there really is that you do want to thank and praise Him for! ​Sabine Brandt, DIP LC offers Christian coaching strategies for small business owners at varying stages of maturity, ranging from those who are just starting out to those who have been in business for 5 years or longer. She delights in teaching her clients how create sustainable, profitable businesses for themselves that not only provide financial stability but also a deep sense of being able to make a difference in the world by serving others and contributing to God’s greater plan (Deut. 8:18). Connect with Sabine on her website Nobility Coaching.